Proving its power as content creators, Netflix has signed up some big-time A-listers for an upcoming original film. As previously reported, Will Smith and Joel Edgerton are set to star in Bright, a new film from Suicide Squad director David Ayer. Today, Netflix has delivered the poster for the project. As you'll see above, it showcases Will Smith looking an awful lot like he usually does, with Edgerton donning some serious orc makeup. 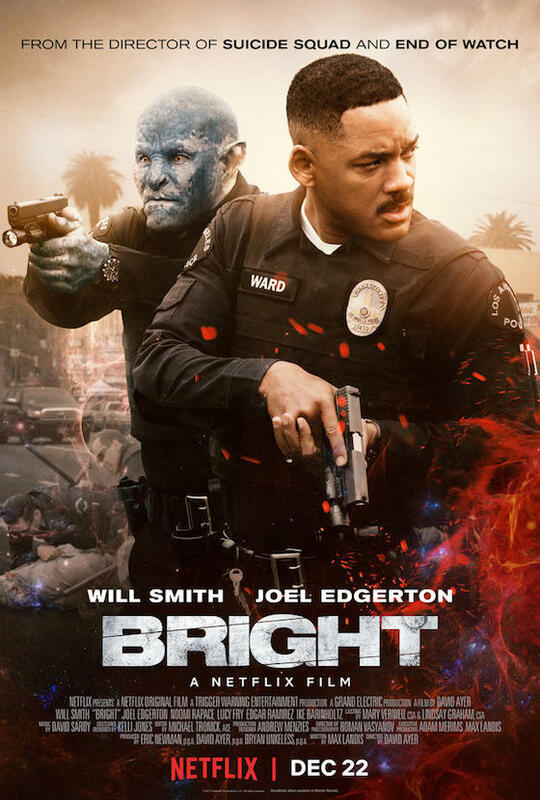 Bright follows the story of two LAPD police officers played by Smith, a human named Officer Ward, and Edgerton, an orc named Officer Jakoby, who form a most unlikely duo working to keep the mean streets of Los Angeles safe from a sinister, fantasy underworld filled with violence and dark forces at work. Look for Bright to hit Netflix on December 22.